We will probably continue when big leagues starts their seasons. Seriously wtf, this is not correct, I can't have +20, I should be in minus. Will check later and post winner, and give award. Anyway, check it please, I am so tired lately. 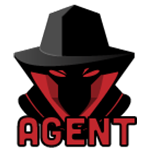 the winner is @AGENT, congratulations! Thanks to everyone who participated, next season will start when the leagues start in August. Also I repeat, if anyone is willing to manage this game at that time, let me or efko.aqw know, I don't think I'll have enough time to do everything by myself like I did so far.